Memories of Battersea is a video oral history project run by Spectacle and funded by the Wandsworth Grant Fund. The project gives young adults from Battersea the opportunity to be trained in film-making while producing short films about their neighbourhood, collecting memories from elder Battersea residents, bridging intergenerational gaps and engaging with the history of their borough. 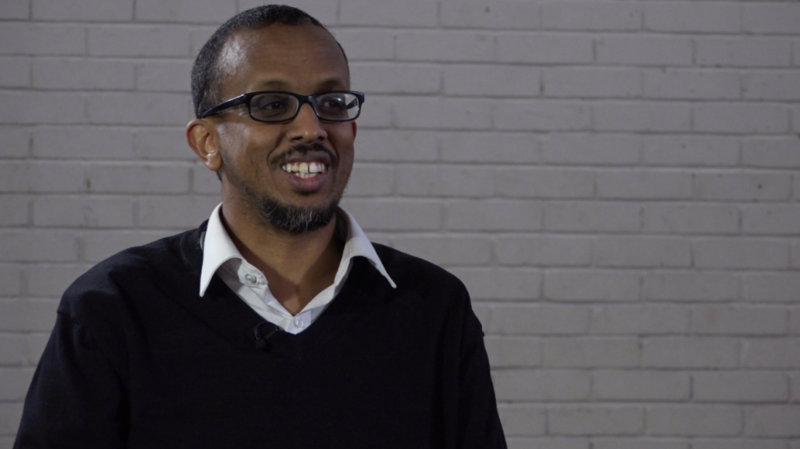 In this video, we meet Mohamed Ali, a local community organisation founder and Battersea resident who immigrated from Somalia with his family in the late 90s to seek a better life away from the on-going Somali civil war. Mohamed Ali, local Battersea resident and founder of Elays Network. Mohamed spends his time working in the R & E Centre on St Rule Street in the SW8 area. He started Elays Network to work primarily in youth development and education but as the organisation expanded, they began to involve men and women of all ages in various activities, focusing on building bridges between the migrant communities and the host communities. 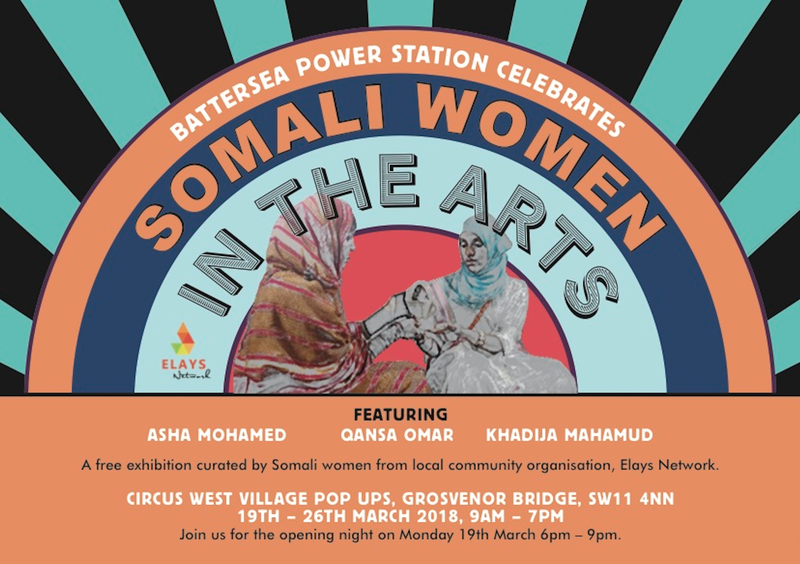 Most recently some of the organisation’s women came together to curate an event called Somali Women in the Arts which saw them exhibit their artwork, from paintings to poetry, in the Battersea Power Station. Somali Women in the Arts exhibition, held at the Battersea Power Station. He talks about his early experiences adjusting to life in London, the urban development and gentrification in Battersea and its impact on the lower and working class, the establishment of the Somali community within the borough of Wandsworth and how he founded Elays Network. He also relives some key events of how Elays has helped to strengthen and and bring together the Battersea community, as well as suggesting how the migrant and host communities should move forward in becoming a better integrated, accepting and united society. Watch the full film here on Vimeo. Visit Spectacle’s Memories of Battersea channel on Vimeo to watch other episodes featuring Battersea residents’ unique stories. This entry was posted in Memories of Battersea and tagged battersea, Battersea Power Station, British Colony, Civil War, Clapham Junction, Community Organisation, Community Work, Doddington Estate, Elays, Elays Corner, Identity, immigration, Integration, intergenerational, London, london riots, Memories of Battersea, Mohamed Ali, oral history, participatory video, Pentagon Film, PV, Somali, Somali Community, Somali Women in the Arts, Somalia, spectacle, St Rule Street, SW8, urban development, video workshop, Wandsworth, wandsworth council, working class, Youth Work by Morgan Lewis. Bookmark the permalink.